The VA offers several different types of mortgages to eligible veterans and active duty military members. One of these options is known as the VA hybrid Adjustable-Rate Mortgage (ARM). This hybrid ARM is a VA specific program and is not available to non-military home owners. While there are programs available to other borrowers that act similarly to the VA hybrid ARM, there are some differences. These differences make the VA option safer and more stable than other similar programs. Before we discuss the specific differences, let us first review what an ARM is exactly. An adjustable-rate mortgage changes interest rates with the market from year to year. Along with this, the terms of the loan vary from lender to lender. Lenders calculate interest rates by adding the index and the margin. The number they come up with is known as the fully indexed rate. The index is an interest percentage rate that reflects general conditions of the market. Among many different indexes available, the lender decides which index it will use to calculate the rate. However, the index used for the VA ARMs is always the same. We will go over this later in this article. The rate on an ARM increases or decreases depending on which index it is based on. The margin is a rate set by the lender that cannot change over the entire life of the loan. The margin is often negotiable with the lender and you should analyze these options. So, if the index rate is at 2 percent and the margin is set at 2.25 percent, the fully indexed interest rate (what a borrower would pay) would be 4.25 percent. Luckily, almost every ARM program has built-in interest rate caps to help prevent payment shock in the event of an extreme increase in rates. Yearly caps dictate the worst-case scenario increase per year and lifetime caps determine the worst-case scenario increase over the entire life of the loan. These caps vary from program to program and from lender to lender and are very important to take note of when considering a VA hybrid ARM. How is the VA Hybrid ARM Different? by the VA, can often change multiple times a year and can increase as much as two percent per year. 2. The index used by the VA adjustable hybrid to calculate the rate each year is known as the One-Year Constant Maturity Treasury (CMT). This index is known for being one of the lowest and most stable on the market. On the other hand, traditional ARMs most commonly use an index called the LIBOR index. The LIBOR is consistently higher than the One-Year CMT. ARMs based on a lower index are likely to have a lower payment, making the VA hybrid more favorable. 3. The VA hybrid is guaranteed by the VA. If a borrower defaults on a VA loan, the VA must pay the lender a portion of the loan amount. What does this mean for you? Obviously, the VA does not want to have to pay lenders for defaulted loans. Therefore, they do not give dangerous loans to veterans. The hybrid passed the VA’s standards, meaning they consider it a safe loan option. Some traditional ARMs are fairly safe as well, but the VA hybrid ARM is the cream of the crop when it comes to adjustable rates. 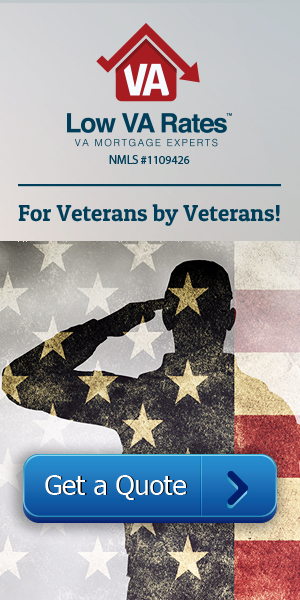 At Low VA Rates, we take pride in educating veterans about this home loan and others. Contact us today to learn more.